Kungsleden has signed a lease agreement with MKS Instruments AB in the new property Vagnslidret 1, also known as Isblocket. The five-year agreement means that Kungsleden has filled all leasable office space in Isblocket in Malmö. 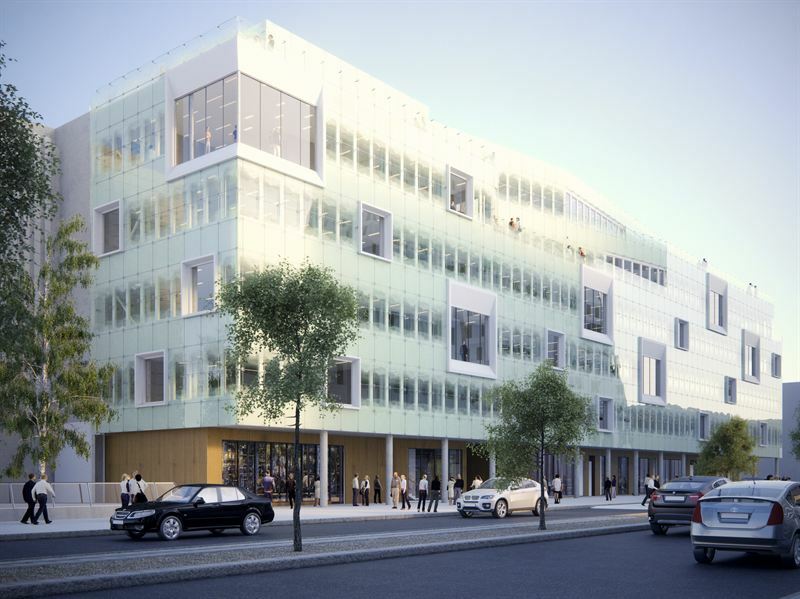 Kungsleden AB (publ) has signed a five-year lease agreement with MKS Instruments AB who will lease 551 sqm in the property Vagnslidret 1, also called Isblocket, in the city district Hyllie, Malmö. The agreement means that Kungsleden fills the last vacant office space in the property, which is now fully leased. Kungsleden took possession of Isblocket on April 1, 2016. In addition to MKS Instruments AB, companies such as Malmö municipality’s parking company, Jaguar and Land Rover, Merit Consulting, SsangYong Import AB as well as Kungsleden themselves have chosen Isblocket as their office building. “We are of course glad to be able to welcome MKS Instruments AB to Isblocket, and that we have now filled the property with exciting companies who all contribute to Hyllie’s impressive growth. We look forward to, in cooperation with our tenants, actively take part in the development of Malmö’s most expansive area”, says Tobias Nilsson, Property Manager at Kungsleden. “We look forward to moving into Isblocket this summer! Hyllie is of interest to us as the location enables us to recruit from both Copenhagen and southern Sweden. The close proximity to Copenhagen Airport is also of importance as we have international employees who regularly travel to Malmö. We are excited to be able to move into these new and modern premises, which will be the basis for our global activities and growth ambitions”, says Jakob Mohr Christensen, CEO of MKS Instruments AB. MKS Instruments AB develops and sells software used for multi variable data analysis and statistical planning. The information was provided for public release on 11 April 2016 at 07:00 a.m.